Adafruit has today announced a new addition to its range of electronic kits with the availability of the new Pi GRRL Zero Parts Kit which provides everything you need apart from a 3D printer case, to create your very own portable Raspberry Pi running MAME and NES emulators. 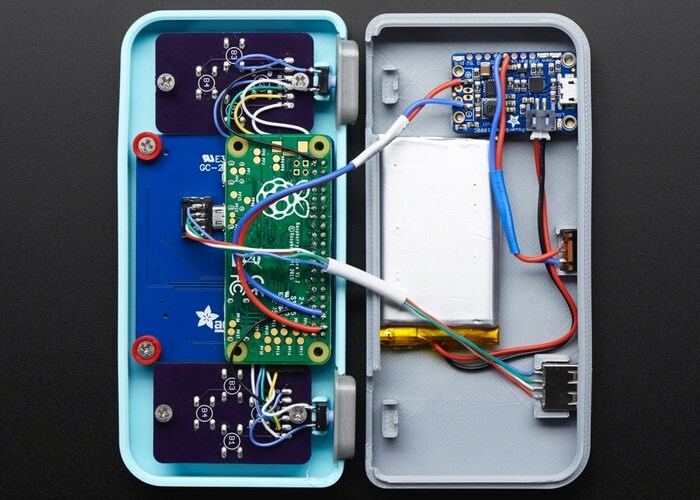 So if you fancy creating your very own portable Raspberry Pi Zero games console, and have a 3D printer available to create the casing which the project requires. Check out the video below to learn more about the Pi GRRL Zero Parts Kit which is now available to purchase priced at $60 direct from the Adafruit online store. This portable handheld game emulation station is called the PiGRRL and it’s powered by a Raspberry Pi Zero and a PiTFT display. You’ll have to do all the 3D printing, assembly, and installation yourself to get gaming, but our learn guide will help you get through the process. The PiGRRL Zero is a fun build but it is a DIY project, it will not have perfect audio/video/emulation capabilities. In particular the Zero is fairly slow compared to the Pi 2 or 3 and can pretty much emulate NES-complexity-max games. If you found this article interesting you might also be interested in this list of awesome Raspberry Pi Zero projects we have put together or how to build your very own Arduino wind speed meter or anemometer project.